Every once in awhile you stumble upon an app that is, at first okay, but then after getting into it, ends up being so addicting you can’t put it down. Happy Street is that addicting game and it’s free. You start off with Billy the adventurer, and Pepin the merchant. They will guide you though the tutorial and have you building your first houses, stores and mini games. 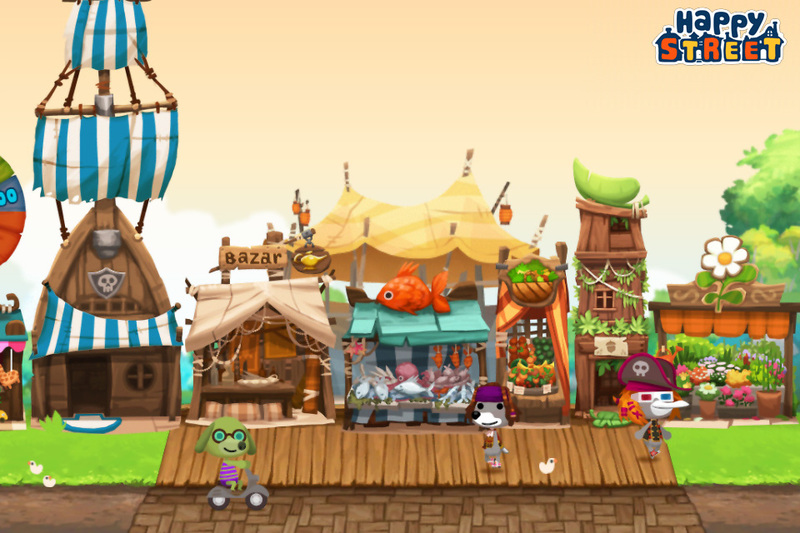 Every time you build a house you gain a new resident who stays in your village and buys things from the stores and stands you create, which earns you in-game coins so you can keep growing your village. You can go to the forest and mountain to gather resources such as fish, rocks, flowers, wood and more to create things like wood planks, which yes, have a timer on them. The buildings and resources eventually get timers that will go up to 24 hours till they are finished, but this game is so fun, I really don’t mind. The time element keeps the game interesting. Other characters will also give quests continuously throughout playing, which will earn you coins and flooz. Flooz is the special currency in the game that is harder to come by and they do give you the option to buy more, just like most apps now. Starting at 99 cents you get 9 and it goes all the way up to $99.99 for 1500. This is just an option and I have had no pressure to buy more, and I have not done so. As long as you keep doing the quests you will earn just what you need. The game also is linked with GameCenter so you can earn achievements and add your friends. Having friends is a good thing, you can ask them for some resources you may need and they could have it so you don’t have to wait 8 hours for it to be made. So if you are into cute little animals asking you to make them anvils and cider so you can upgrade your medieval house, this awesome crazy addicting game is just for you. Available in the App Store and Google Play! – Meet Billy, Zoe, Pepin and other unique characters. – Discover 3 unique environments and more to come. – Trade and visit your friends.